Inviting dancers of all levels into spaces of connection that emphasize collaboration not competition. Join us for five days of immersing yourself in radical self-love, dancing like you mean it everyday, filling your well and giving yourself an outlet to express your feelings for the issues of our time. Do you crave a space where you can come together with other dance and expressive artists to connect, create, and perform? A place where you can break boundaries, celebrate your personal freedom and voice to say something that is going to change the world? A place to dream big with others who love to move their bodies and express feelings to the utmost in a healthy, grounded, and revolutionary way? Desiring an environment where you can push past your personal limitations and boundaries, train, create, share, and appreciate meaningful work in a safe space for bold and authentic expression? Explore the possibilities of form and freedom in your body in a safe, supported way? Shake out the nonsense of the universe and be who you really, really are? Truly connect with people who love to move and create change in the world through dance? Are you ready to build up your tools and resources of radical self-love and activate the embodied revolution? Fill up your well and explore your personal creativity in a safe, supported, and inclusive way? ONE SOL is a 5-day immersive dance festival for teens and adults, highlighting collaboration vs competition among dance and expressive artists from around the world. 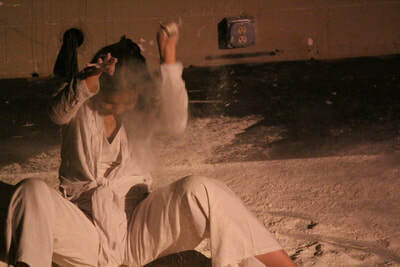 With a focus on training, creating, healing and performing cross-cultural, contemporary and conscious dance. ​ONE SOL builds bridges and creates inter-generational spaces for safe, authentic expression and connection, pushing past personal boundaries, limitations and promotes the creation of cutting edge works that have the power to change the world. ONE SOL participants will train with multiple distinguished guest artists in multiple styles of dance, movement, and embodiment while creating thematic works together, building community, performing together in The Edge Showcase, and dancing freely with the entire audience and community in Get Free, a soulful and inclusive Ecstatic Dance Experience. ONE SOL is a 5-day festival that takes place in multiple venues in Denver, Colorado USA, from August 7-11, 2019.
WHO IS ONE SOL FOR? 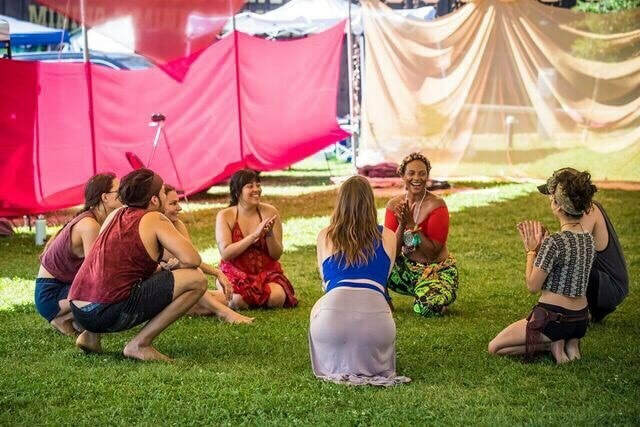 One Sol Dance Festival is open to 60 people who love dance and desire a unified space to train, create, heal and perform with diverse artists from around the world. 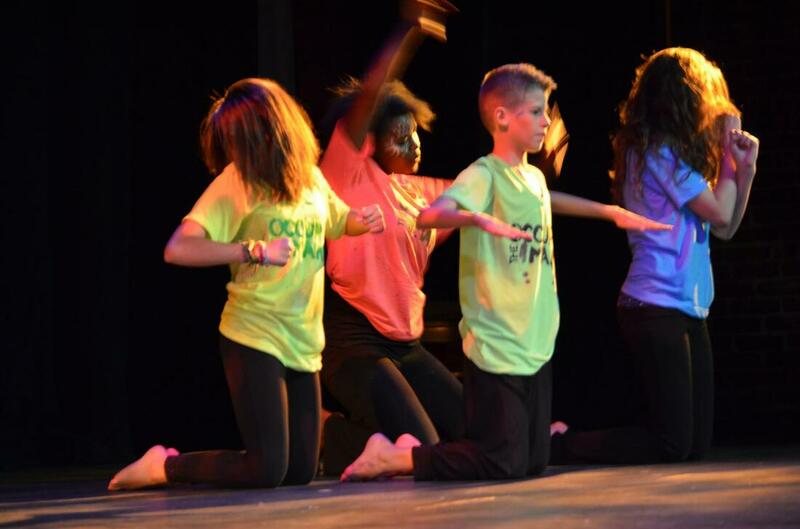 Specifically for teen and adult emerging and established dance and expressive artists. We are accepting applications from dance and expressive artists who seek to create positive change in the world through the expressive arts. This is an opportunity to bridge the gap between ego and soul, take away the edge of competition and instill collaboration as a tool to elevate our present and future leaders in the dance world creating a new ideal for unity in the dance and expressive arts community. Here are some examples of people that this festival has been created for. Don't worry about if you're emerging or established--if you want to dance, create, train and perform meaningful works and break the barriers of competition in the dance and expressive arts world, you are totally welcome here. You get to self select where you think you'll be most comfortable. hOW DO i PARTICIPATE IN ONE SOL? Criteria to Apply: Teen/Adult who has a sincere love for dance and desire to create, train, connect, heal and perform with artists of all levels, backgrounds, culture, and locales. A strong passion to collaborate and not compete with each other as dance and expressive artists. Must commit to participating in the 5-day immersive festival experience. ​Application: To participate you must first complete the intake application and pay a deposit to hold your space. *Only a deposit is needed to secure your spot and lock in your rate. *Payment Plan options are available at zero interest. Festival passes include all workshops, master classes, opening/closing ceremonies, breaking bread experiences and festival swag. Once your application is in, you will receive an email to complete your deposit/payment. *Exact times may be subject to change, but ask for you to hold space for these days and the fluidity of time and space. It's going to be so great! Workshops + Master Classes: There are two tracks of experiences-- Beginning/Intermediate and Intermediate/Advanced. 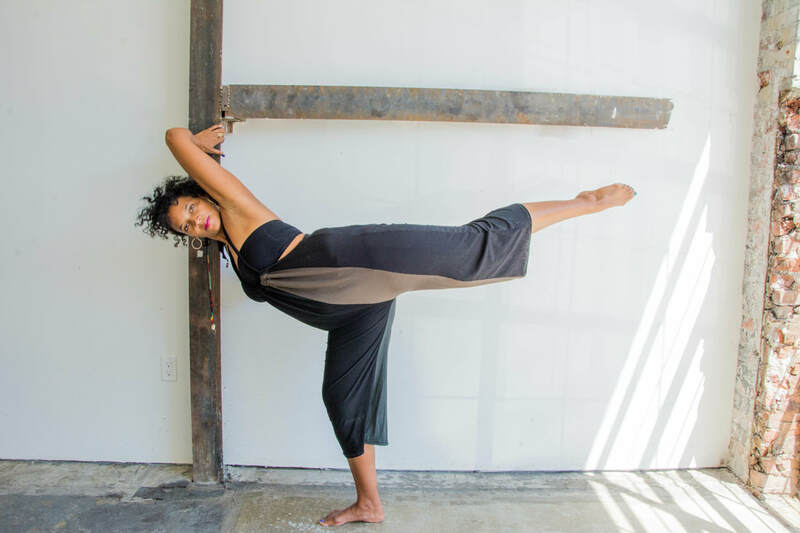 These master classes and workshops will cover a variety of dance, movement, and embodiment techniques and led by distinguished master teachers artists who are changing the world through movement and bringing consciousness and healing to the forefront of expression. Expect to train in cross-cultural, contemporary, and conscious forms of dance. ***You can be any level of mover, with or without experience and participate in the entire festival--you just need a sincere desire and passion to train, create and perform in multiple styles of movement. Sol Vida, Embodiment, Healthy Sensuality, Ethnic Fusion, Dances of the Orixas, Contemporary, and Conscious Dance. 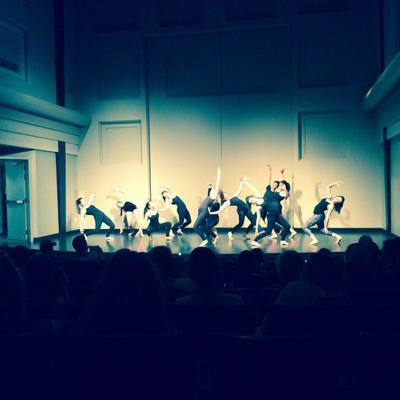 Choreography Labs: Participants will be grouped into smaller groups with a lead choreographer. All groups will be creating collaborative choreographic works based on the theme: The Revolution Will Not Be Televised. Lead choreographers can be teens/adults and will have an inter-generational, mixed-level cast to set and create work with. There are 4 hours total to set and complete this entire piece during the festival! You have four hours to say something! Sound Healing/Meditation: These experiences will be provided throughout the festival to bring integration to your body, mind and spirit. To be able to leave each day and experience with peace and closure. Dress/Tech Rehearsals: Dress and Tech Rehearsals will allow us to piece all the pieces together in a way that creates impact and sparks creativity. These rehearsals also provide a great opportunity to experience a professional performance atmosphere and inevitably incites group bonding. These performances will be bare bones, as we are seeking to have the messages of the movement speak for themselves. Opening/Closing Circles: We will do official ceremonies to give thanks, appreciation, and ask for the blessing of this festival. ​We will accept applications until all spaces are filled. Inspired by Gil Scott-Heron, we are exploring this song as our inaugural theme. Sol Vida Worldwide is here to promote the radical self-love through the embodied revolution. With a belief that taking care of ourselves holistically, giving ourselves the time and space to dance our feelings and create meaningful work--we become the change we want to see in the world. This is how we heal the world. This is how we heal ourselves--through the dance, through the connection. The revolution is something that can happen within and with each other. Join us for five days of immersing yourself in radical self-love, dancing like you mean it everyday, filling your well, and giving you an outlet to express your feelings for the issues of our time. We are excited to host guest artists that firmly believe in this mission and theme. We can't wait to activate this embodied and radical self-love revolution with you! The One Sol Dance Festival was created and visioned by, April (Axé) Charmaine, founder and leader of Sol Vida Worldwide. With the desire to bring people together from many worlds and create a sense profound connection, embodiment, and change the world. One Sol is here to connect, empower, and transform lives through the expression of dance. After hosting several festivals, performances, and events through the decades, the idea of bringing people together who have a passion for dance and connection is extremely exciting. While traveling the world for the past couple of years, she has had the privilege of meeting many amazing dancers in the cross-cultural, contemporary and conscious dance communities. It is a dream coming true to bring all the people she loves together to be in the dance together. How can I support this festival? You can support this festival by purchasing a festival pass, sponsoring a participant, food, venue, or by attending The Edge Showcase and Get Free on Saturday, August 10. Do you need any teachers or choreographers? This festival is for teachers and choreographers. Instead of being in a state of giving, we want you to receive this as an opportunity to connect, fill your well, come into a space where you can relax, authentically connect, build community and take back new tools for your students and community. Is this festival only for professional dancers? Absolutely not. This festival is open to any teen/adult who LOVES TO DANCE. Whether or not you have experience in the conscious dance community, contemporary or have focused your studies on cross-cultural forms, we invite you to push your edges and try some new things out in the body that will be taught in an aligned and supported way. Is it possible to only sign up for part of the festival? This festival is designed to bring people together in an immersive experience that is dependent on everyone's full participation. In order to incite the change we crave, we ask that everyone fully commit to the entire experience because it is magical when we get to be together over extended amounts of time and do this type of work. I'm a professional dancer, I want to take classes at my level. Emerging and established artists will take master classes on two different tracks. You have the opportunity to choose which track you want to experience. Both tracks are inter-generational. Part of the intention of the festival is to help develop leaders and also provide mentorship to up and coming artists. I really don't have that much experience taking "real" dance classes. As long as you have the willingness to train, create and perform you will do great. This festival is explicitly created to build bridges between technical form and conscious dance freedom. There will be a beautiful blend of these elements in all master classes and workshops. Are classes gender specific? Classes are open to all genders and generations of dance and expressive artists. What kind of dance will we be doing? We are going to be exploring the fusion of cross-cultural, contemporary and conscious forms of movement. This training ground is intended to give you the opportunity to explore form and freedom in a safe, supported way that accentuates your highest self and activates your personal freedom through expression! I really want to come to this festival, but I really don't have the money... We have some work-study positions open to those who have a strong desire to participate and a great work ethic and want to help with the overall success of the experience. Email iamsolvida@gmail.com to inquire. Why are there so many shared meals in this festival? Through a belief that in breaking bread, we build community. There is nothing like sharing food with others to incite great conversations, connection, humility, appreciation, and unity.